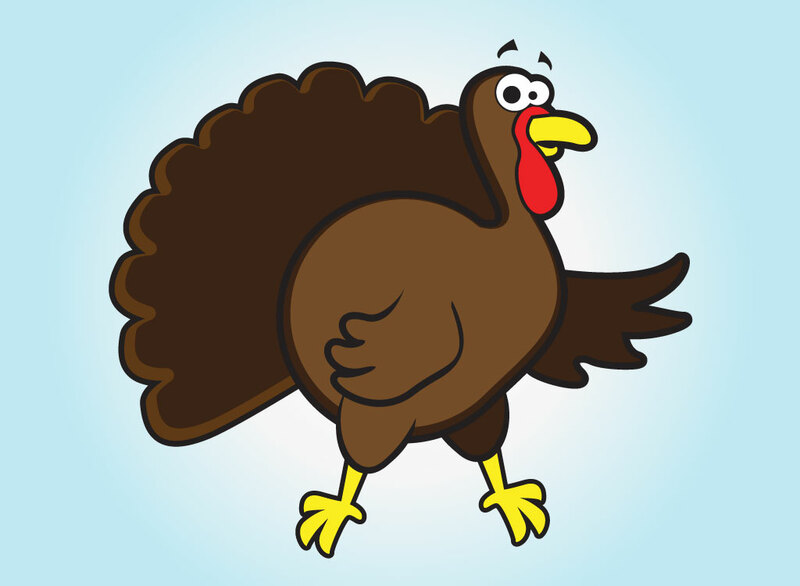 Download this cute turkey cartoon for your Thanksgiving and food designs. This bird seems to know he's being looked at as a meal, a bit nervous, perfect for your Thanksgiving invitations and greeting cards. Tags: Animal, Autumn, Bird, Cartoon, Fall, Fowl, Thanksgiving, Turkey.